Both Aswin and I have similar childhood stories. We weren't big on eggplants growing up . 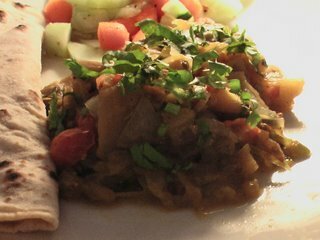 The only eggplant dish we liked was Baingan Bharta and it remains a favorite. We usually microwave the eggplant, but this time we decided to roast it in the oven. It was in the oven for 30 min at 300F, but wasn't done completely when we took it out. So it went back in the microwave and 3 min later, it was soft and pulpy. Once the eggplant is done, the rest is easy. Here is Aswin's recipe for Baingan Bharta. Make slits in the eggplant, rub it with oil. You can then roast it in open fire, put it in the oven in aluminium foil or put it in the microwave till the eggplant skin is charred. Remove the skin, and mash the insides. Set it aside. Heat oil and temper it with cumin seeds, green chillis and ginger. When it starts sizzling, add the onions. Saute till it starts turning brown. Add the tomatoes. Close the lid for a couple of minutes, till the tomatoes turn soft. Add the eggplant and the powder masalas. Saute it for a couple of minutes. Add salt and let it cook on medium low for 10 minutes. 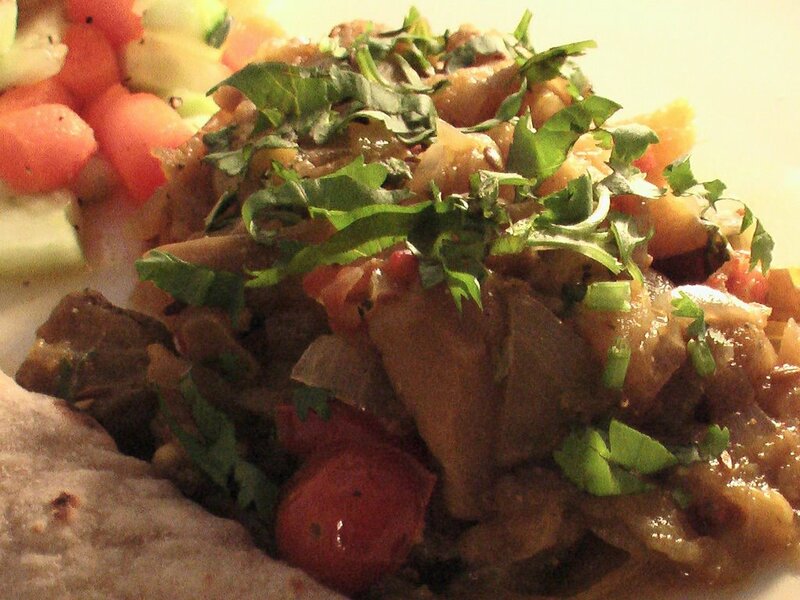 Garnish with chopped cilantro and serve with rotis and salad. 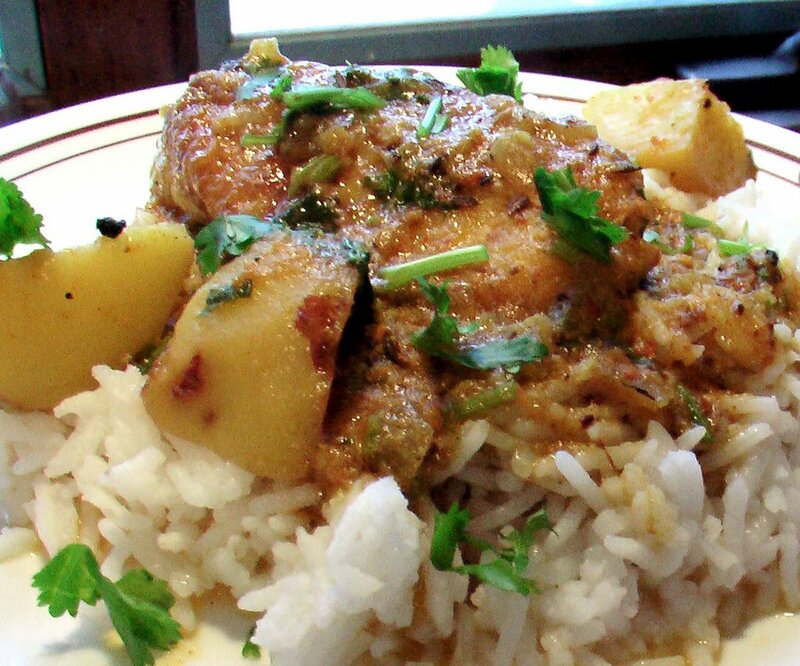 Fish curry and rice is something that I grew up with. As a kid, I thought everyone ate fish, till I went to school! 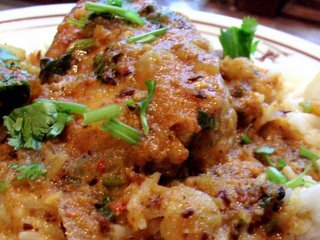 Boal Macher (a kind of fish with more fat, available during winter in India) muthe is something my grandmother made during winters. She would patiently take out each bone, steam the fish, cube it, and then make fish curry. Simple fish curry is what my mom makes on most days (with seasonal vegetables added) and it is the one I enjoy and miss the most. So if comfort food is partly connection with a past and a thread to the future, something that you can turn to, then fish curry and rice is my comfort food. 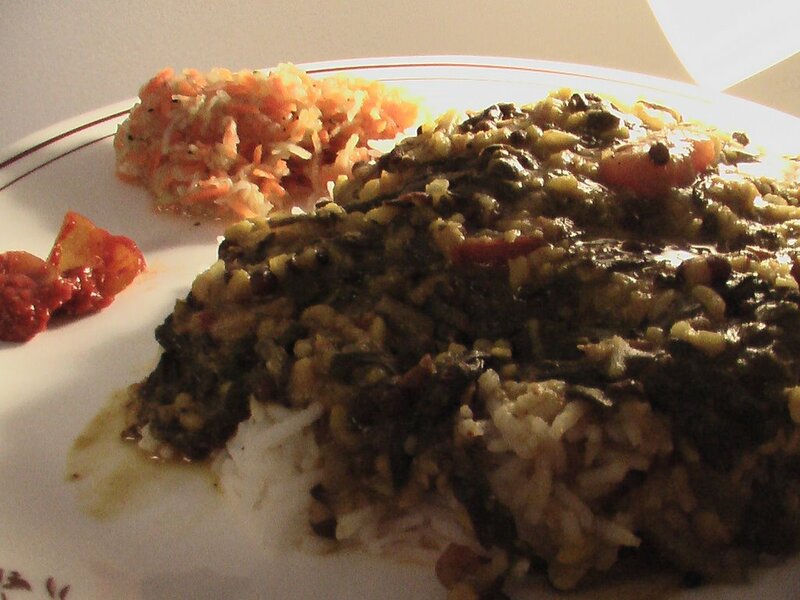 I made maacher kalia (a dish with grated onion and ginger) with catfish. Here is the recipe. Rub the fish pieces with salt and turmeric. Set aside for 20-25 minutes. Heat oil in a wok and fry the fish. I use nonstick pan and end up using less oil. In the same oil, saute the potatoes till they start turning brown. Place the fish pieces and potatoes on kitchen towels to remove excess oil. Heat the rest of the oil, temper with paanch phoron, red chillis, bay leaf, and cardamom. When it starts sputtering, add the ginger and garlic. Stir it for a minute till the mixture starts turning brown. Add the onion paste and stir for a couple of minutes. 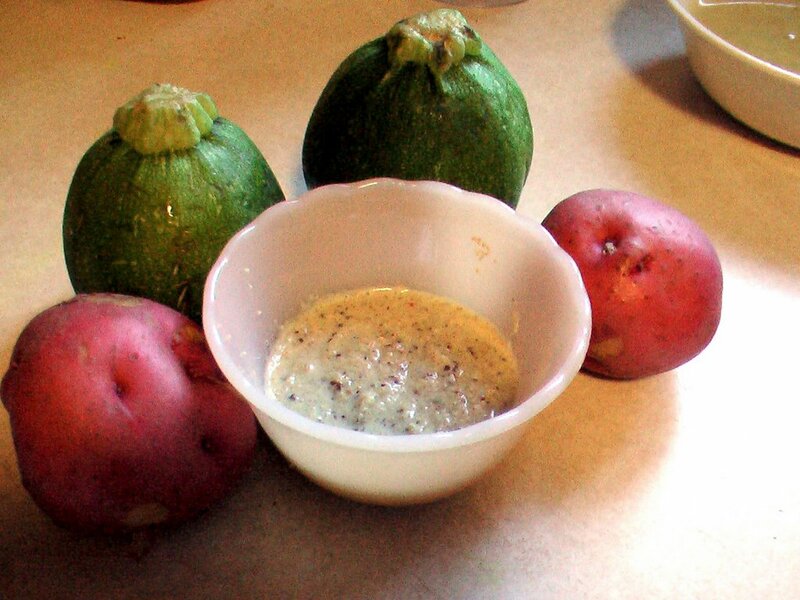 In the meantime, add the powder masalas in a bowl with a little water and make a paste. Add the potatoes and then the powder masalas and tomato pulp. Stir till the masalas mix well with the potatoes. Add water, cover and let it cook for 5-6 minutes. Add yogurt and salt and cook for another 10-15 minutes. Now place the fish pieces in the wok. Cover them with the curry, reduce the flame to low and let it cook for another 5-6 minutes. This is my entry for From my Rasoi# 7 "Comfort Foods"being hosted at En ulagam by Revathi Duddukuru. Enjoy! I have read and seen pictures of some delicious pies in the recent days and I wanted to make my own. Aswin found a recipe in a vegetarian magazine in the public library and during our lunch trip to the farmer's market we picked up some cherries. 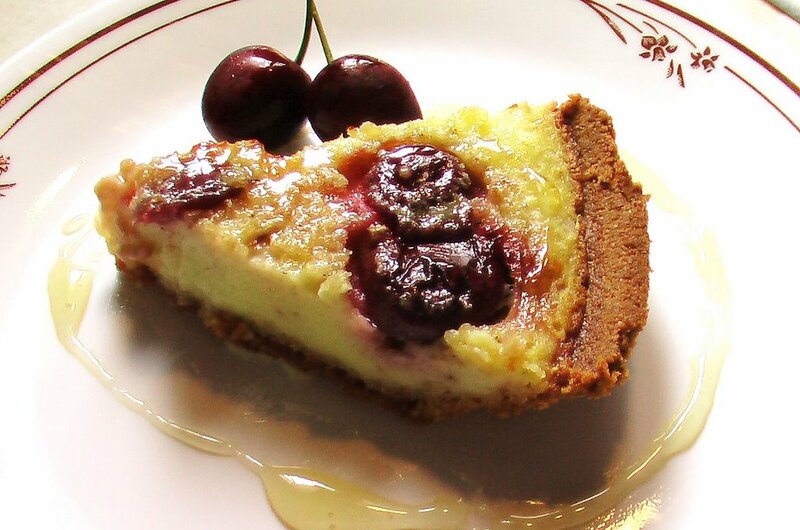 The stage was set for the buttermilk and cherry pie. Here are the post taste notes :) It has a rich custardy texture and taste and not too sweet - something I like in a pie. I will recommend this to anyone. 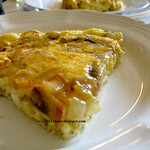 I used a readymade crust but you can make it from scratch. Indira describes the method for making a crust perfectly in her peach pie recipe or you can see the step-by-step process here. Put the cherries in circle in the bottom of the pie shell. Pour it slowly in the pie shell. 350 F or till a toothpick comes out clean. Remove from the oven and cool to room temperature. Slice and serve. 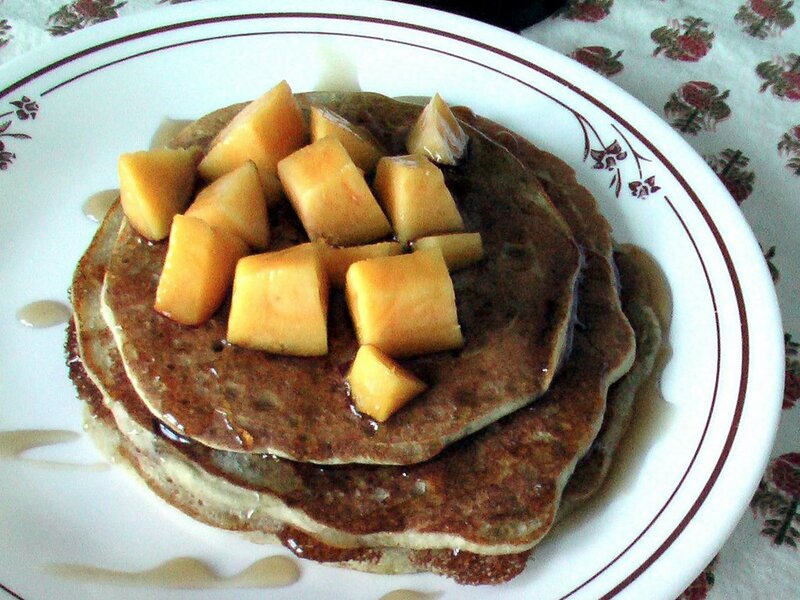 Weekend breakfasts, as I have blogged about earlier, are something special. You can take the extra minutes to finish coffee, listen to NPR, browse through the day's news while contemplating what to make for breakfast. No cereal or oats on weekends... always a little extra. We had a good mix of berries at home and I made some very berry pancakes. They are not from scratch. I used organic Arrowhead whole grain pancake mix which already has buttermilk and baking powder along with the different grain mix. Mix the pancake mix with milk and oil. Cut the berries into small pieces. 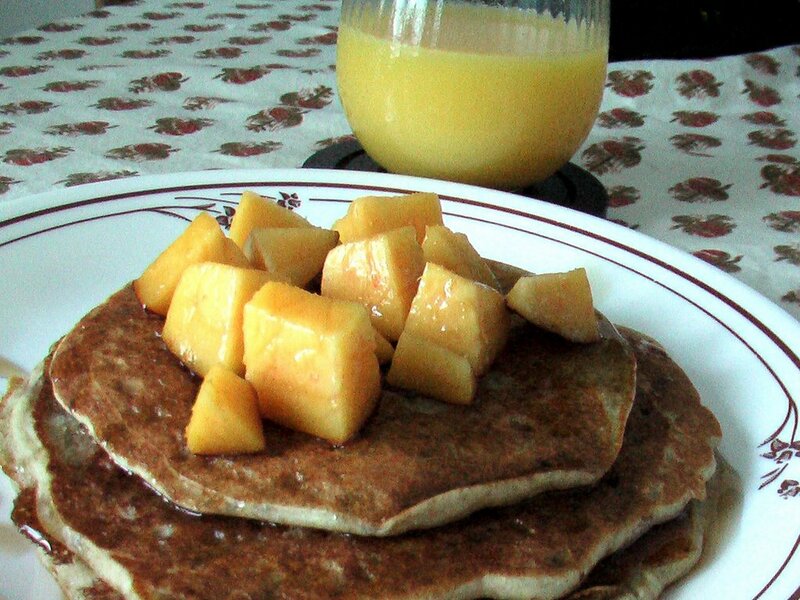 If you use blueberries, add them just before you start making pancakes. Heat griddle and pour the batter to make pancakes. Garnish with fresh fruit and serve with coffee/tea or orange juice. 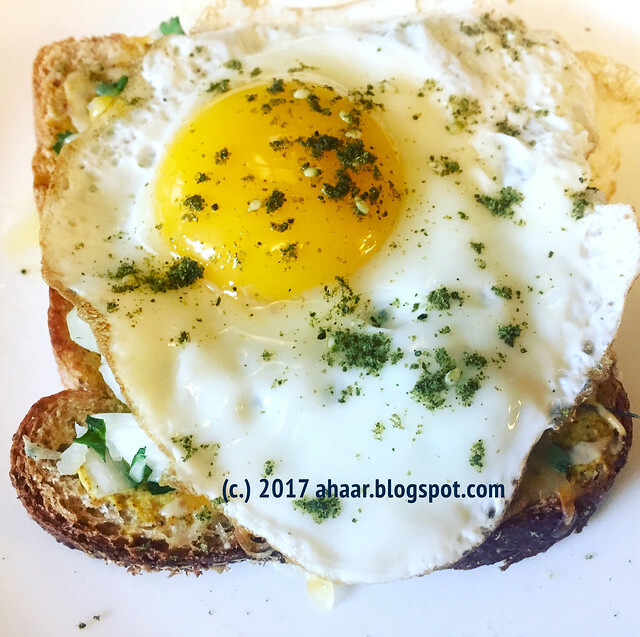 This is my entry for Weekend Breakfast Blogging #2 at Saffron Trail. 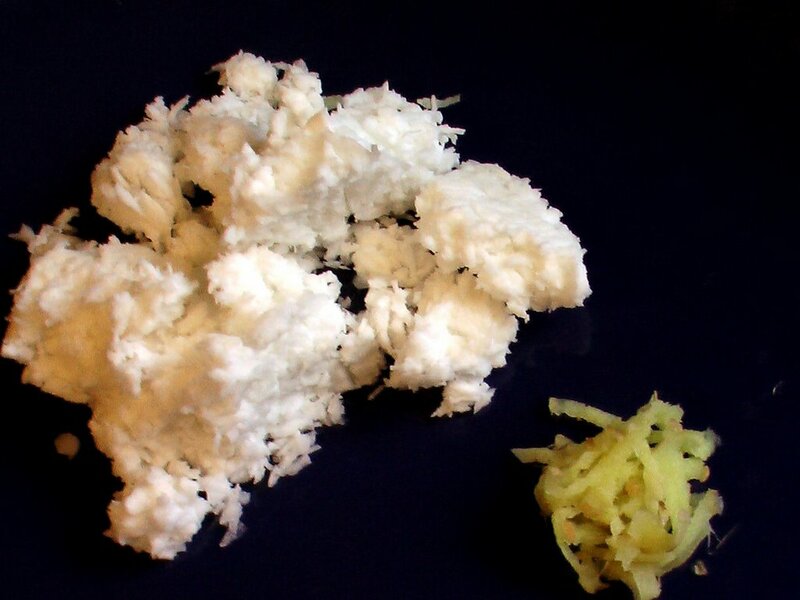 Posto or khas khas is used in Bengali kitchens in several different ways. You can make different kinds of vegetable like aloo, jhinge etc in posto, posto bhaja (fried) or posto bora (fritters) and of course fish, shrimp and chicken curries. I am not sure when poppy seeds were incorporated in Bengali cooking as they are not native to the region [for an interesting history of this plant's travels around the world, see this]. And these poppy seeds, needless to say, aren't going to get you high! Opium is made from unripe poppy seeds. I combined both potatoes and the cute ball zucchinis I found in the grocery store and cooked them in posto paste. Here is the recipe. Soak the posto in warm water for atleast 30 minutes. Grind to a fine paste with mustard seeds, 2 green chillis and ginger. Heat oil and temper it with remaining green chillis and paanch phoron. Add the potatoes, zucchini and turmeric powder and saute for a few minutes. Add the posto paste and salt. 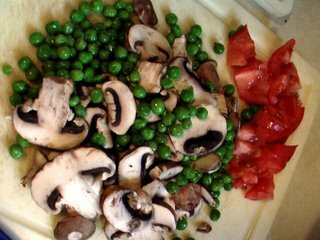 Cook with the vegetables for a couple of minutes. Add the water and cook in low heat for about 15-20 minutes till potatoes and zucchini are cooked. My mom would add 1/2 tspoon mustard oil and a little sugar just before she removed it from the flame. It adds a special zing to the dish. Serve with chapatis or rice. This is my (late) entry to the great Curry Mela hosted at Anthony's Kitchen. We had plans for going out for a movie. 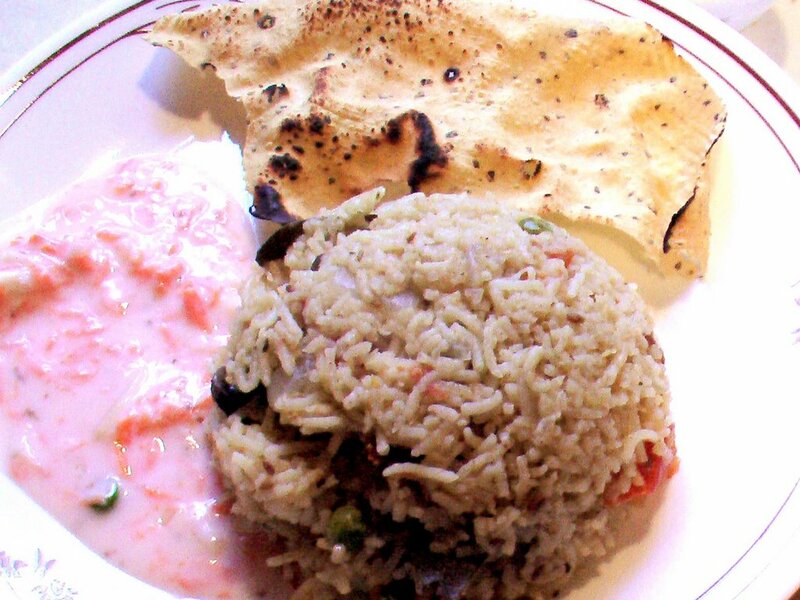 But before that we wanted dinner - something different and simple we thought - and decided upon pulao. 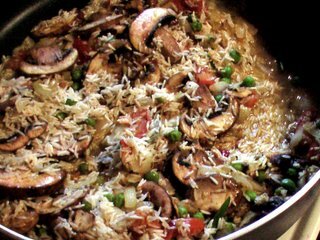 One pot meal with lightly sauted vegetables, cooked with rice and light flavoring. Heat oil and temper with cumin seeds and bay leaf. Once the cumin seeds are toasty, add the onions and ginger. Add the coconut and tomatoes and cook for another couple of minutes. 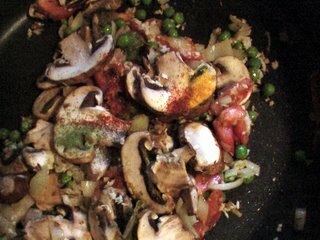 Then add the vegetables and powder masalas. Saute it together for 5-7 minutes. Once the vegetables mix well and start to soften, add the rice. Cook it together till the rice starts boiling. At this stage, add the water, put it on medium heat and cook for 20-22 minutes till the water disappears. 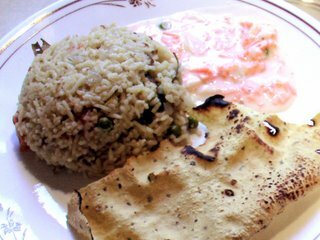 We enjoyed the pulao with carrot raita and roasted papad. Except that I made it with Swiss Chard instead of Spinach. I found fresh Swiss Chard in the grocery store and couldn't resist it. It was a big bunch and we had Chard in smaller portions in different recipes. And all of them tasted good. I like spinach dal but cooking dal with chard and garlic gives it a unique taste. 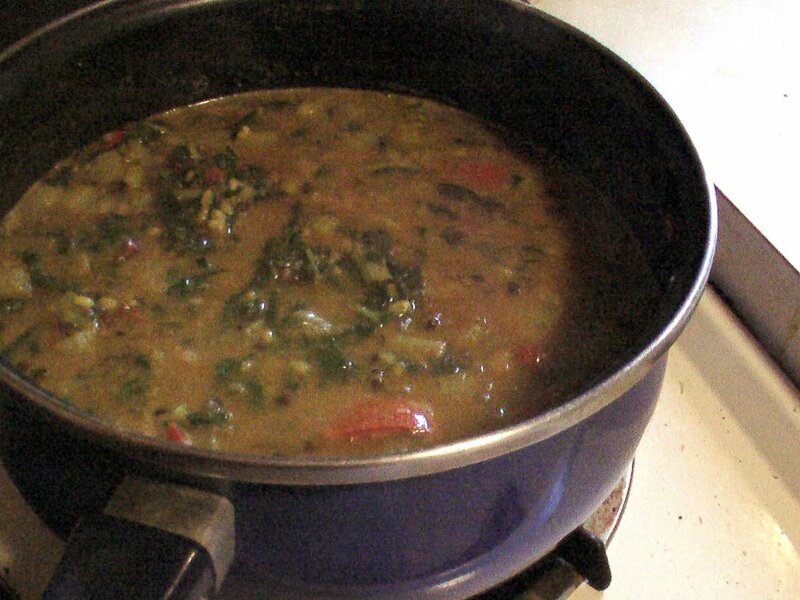 I usually boil the dal seperately. It makes for a couple of extra preparatory steps, but then the actual cooking time reduces. And of course, the end result makes it all worth it. Boil the dal with little turmeric and salt. In the meantime, heat oil and temper with asafestida, cumin and mustard seeds & red chillis. Add onions and saute till they start turning brown. Put the tomatoes and the chard. 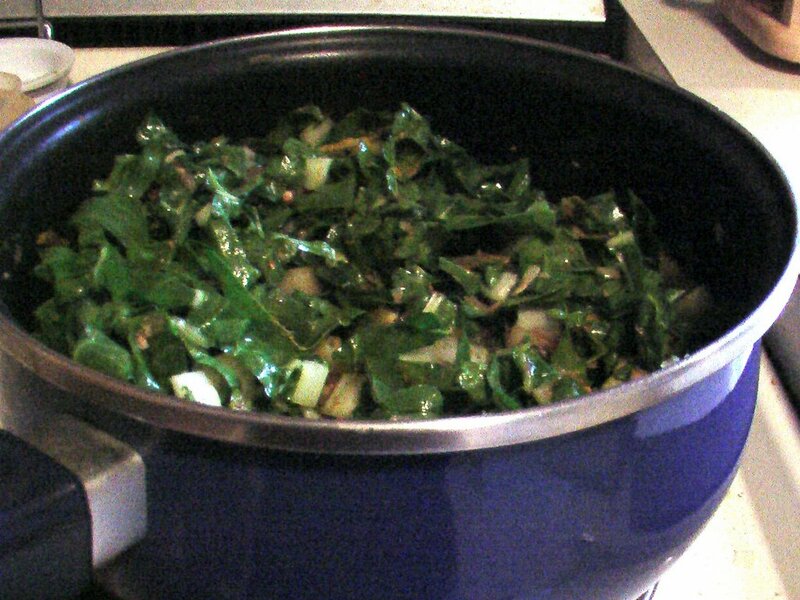 Cook till the chard becomes dark green and wilt. Add the powder masalas and mix it well together. 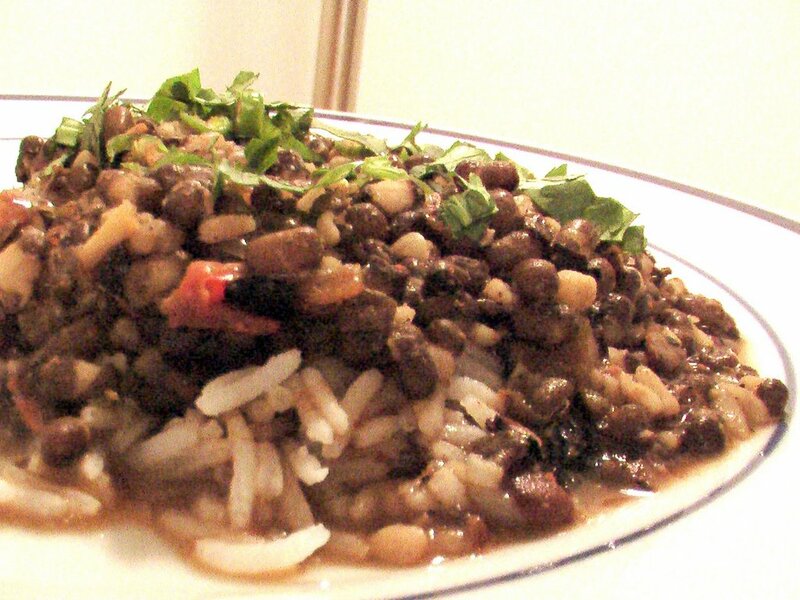 Pour the dal. Add about 1/4 cup of water and let it simmer on low flame for about 5 min. We served it with a salad of grated cucumber and carrots, and lime pickle. Chillies are something that I use in my everyday cooking without giving it a second thought. Green Chillies, red chillies, powder chillies and so on. But when I came across Barbara's Spice is Right theme it got me thinking about chillies. I also remembered a BBC article I read a couple of weeks back talking about new research using chillies to relieve pain. 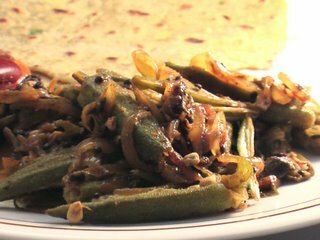 Coming back to my cooking, I found tender baby okras in the Indian store recently and stir-fried it with shallots and green chillies. Heat oil and temper with Cumin seeds, mustard seeds and Green Chillies. Add shallots and saute it for a couple of minutes. Add okras, powder masalas and some water and let it cook for 15-20 minutes. Keep stirring it every 5 minutes till it's done. Serve hot with chapatis. 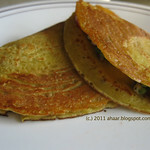 We enjoyed it with avocado chapatis (Indira's recipe). This is my entry for Barbara's Spice is Right IV Theme. Primavera means "spring" in Italian and every year as spring comes around, the Italians serve their pastas and lasangnas with fresh herbs and vegetables. 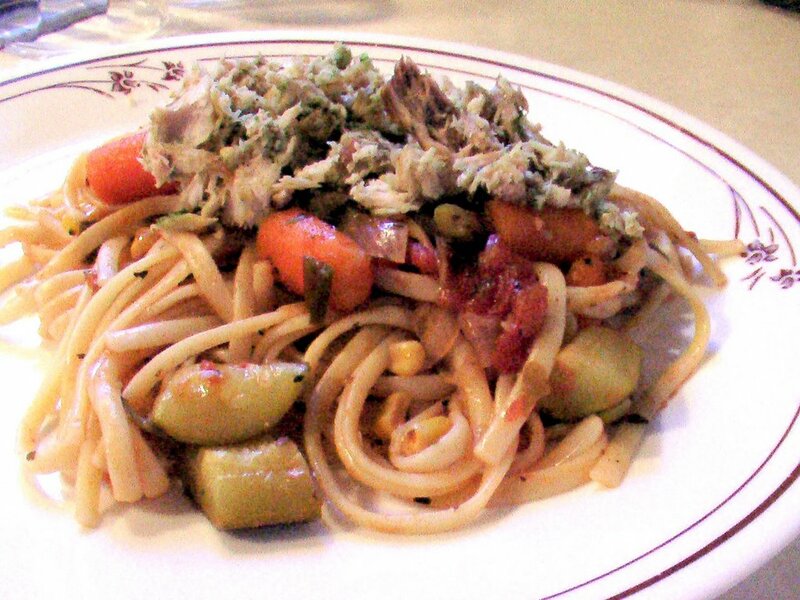 Recently I made pasta with fresh vegetables and it was quick, hearty and healthy. Needless to say, lip smacking yummy too. Earlier when I cooked pasta, I would always put Indian masalas and make it spicy. But, over time, I have come to enjoy the subtle taste of Italian herbs and vegetables cooked in broth or sauce. I still enjoy my desi pasta from time to time. Heat Olive Oil in a skillet. Add rosemary and minced garlic. Saute for a couple of minutes and add parsley, basil and green chillis. Add the tomatoes and cook over medium heat till the tomatoes become soft. Add the zucchini, carrots, corn, peas, lemon juice, 1/4 cup water, salt and pepper and cook till the vegetables are done but retain their crunchiness and base becomes a thick sauce. In the meantime, bring water to boil, with salt and 1/2 tspoon olive oil. Cook till it is al dente. Mix pasta with the vegetables and sauce. You can garnish it with fresh parsley/basil, eggs or anything else. 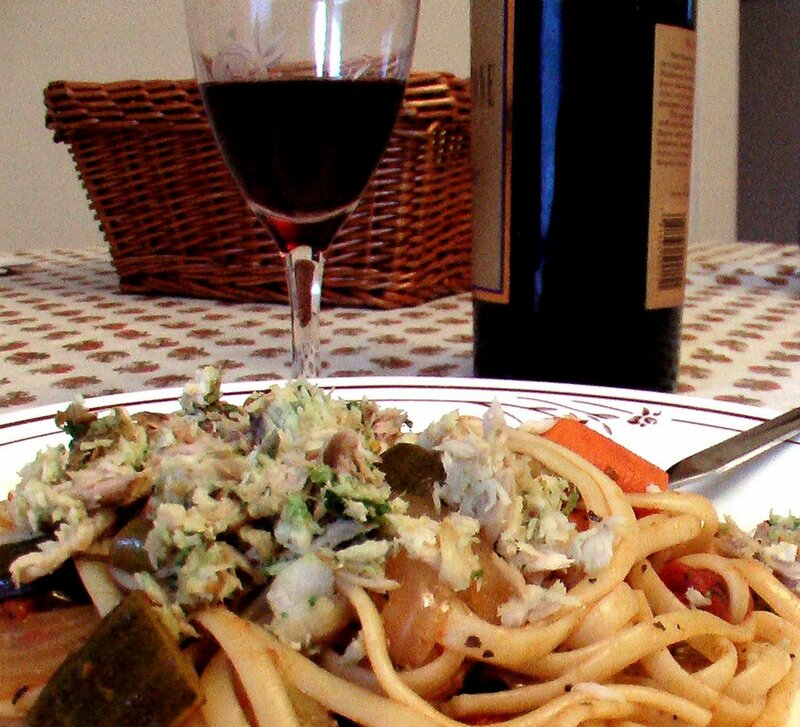 I garnished it with leftover minced fish mixed in basil and mint sauce. This is my entry for Kalyn's Kitchen Weekend Herb Blogging. A sad day for India as eight bomb blasts hit Mumbai. 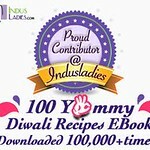 Sepia Mutiny and Ultrabrown have done a great job giving regular updates and providing information to the readers. You can also get information about an acquaintance or loved one from Mumbai Help. My thoughts and prayers are with everyone affected by the attack. Soccer World Cup and Wimbledon were big events at home. We were allowed to stay up late night to watch the matches. And as we grew up, it took a festive overtone. 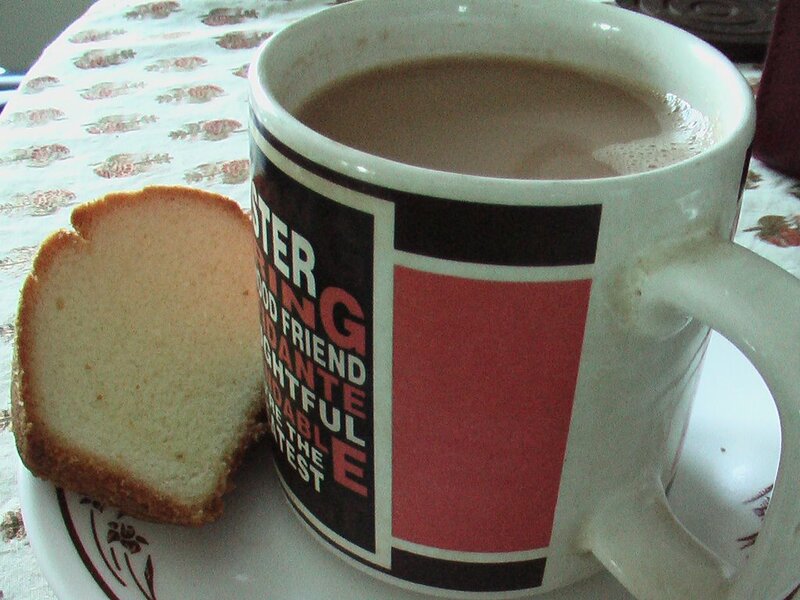 We would make expresso Nescafe (close to cappucino here) and get pineapple pastries for late night matches. It was Wimbledon and World Cup finals this weekend. I couldn't ask for anything more. We enjoyed tennis in the morning with a hot cup of chai and cooled in the afternoon with iced tea as Italy won its fourth World Cup finals. Fun stuff! I have never eaten pomfret at home. Infact, I didn't eat pomfret till I went to college to Manipal in Karnataka. And there, on Sundays, in the first semester, four of us - all bengalis- would go to Sheela hotel, order pomfret fry, dal and rice. And each of us would relish a whole pomfret fry. By the end we would be so stuffed that all we could do was go back to the dorm room and sleep through the afternoon. When our classmates complained that they never saw us on Sundays, we would give each other a look that said "your secret is safe with me". This was complete pleasure. I recently bought pompano- closest to pomfret- from my local grocery store and made my own pomfret fry. Make side slits in the fish. Mix all the masalas, ginger and garlic paste and rub it on the fish. Marinate the fish for 2-3 hours. 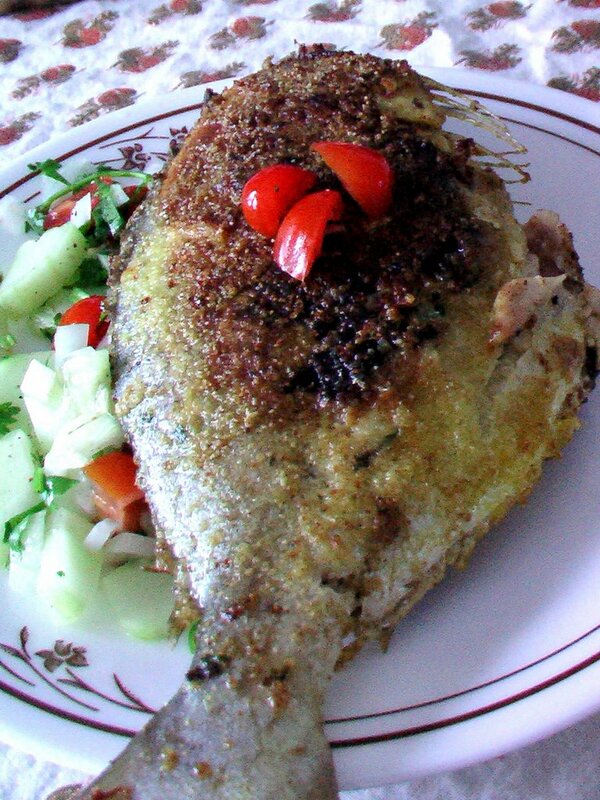 For cooking, heat oil, cover the fish with pan searing flour and semolina and fry for about 15-20 min. Garnish the crisy fish with cilantro, tomatoes, cucumber and serve. 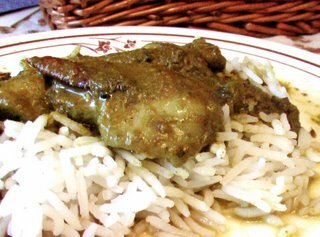 I have had green chicken couple of times in restaurants. I made it for my friend Durga, visiting during the July 4th weekend. 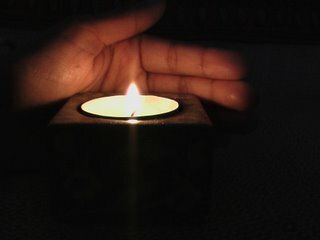 It was the first time I was trying it at home, it turned out rather nice. Instead of any greens, I created the base with mint and cilantro. It gave a tangy and fresh taste to the gravy. Heat a teaspoon of oil and temper with fennel seeds and cinnamon. Add onions and saute till it turns translucent. Set it aside and cool. Add it to the grinder with cilantro, mint, 2 green chillis and tomatoes. Make it into a fine paste. Heat the rest of the oil. Add cloves, cardamom and cumin seeds. 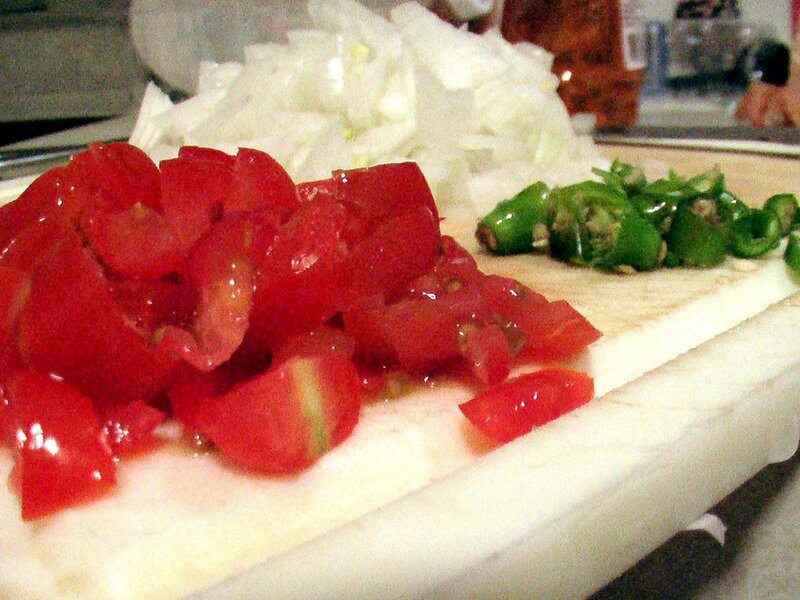 When the cloves swell, add the red and green chillis along with ginger and garlic paste. 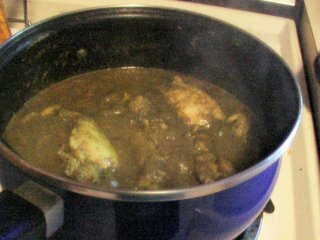 Then add the chicken and the powder masalas. Saute it together till the chicken starts browning. Add the green paste, half cup water and salt. Turn it to medium low heat and cook for 25-30 minutes. Keep stirring every 7-8 minutes till it is done. I have a confession. JFI - Dal snuck up on me. Before I knew, it was the end of the month. 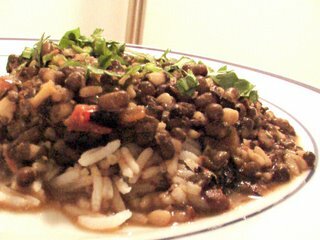 My choice for Sailu's JFI-Dal event is Dal Makhani or Maa ki Dal. The best dal makhani I have had are in roadside dhabas. Stopping in various dhabas while travelling or sometimes going to the nearest dhaba for a meal, I have had some great versions of the dish. 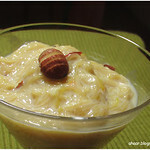 In my recipe, I omitted out the malai (cream) and butter and used yogurt instead. 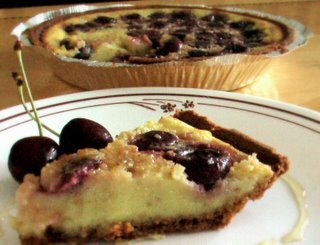 You can also use a combination of cream and yogurt. Also it's best is if you soak the dal overnight. I had time to soak it for a couple of hours and had to pressure cook it longer. Here goes my recipe. 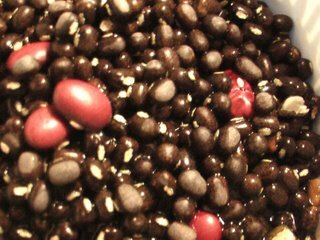 Soak urad dal and rajma in warm water overnight. I soaked for a couple of hours hence, more time for pressure cooking. Add water & little salt and pressure-cook till soft – I did about 5-6 whistles. Mash it, add yogurt and cook for another 10 –15 minutes. Cream can also added. In a wok or pan, heat oil and temper with cumin seeds. Add garlic paste, fry till golden brown. Add onions and fry till they start turning brown. Add ginger, green chillies, tomatoes and sauté till tomatoes soften. Add powder masala and mix it all together. Add the dal and stir on a medium flame. Once it starts boiling, add garam masala and remove from the flame. Garnish with fresh cilantro, green chillis and a blob of butter. 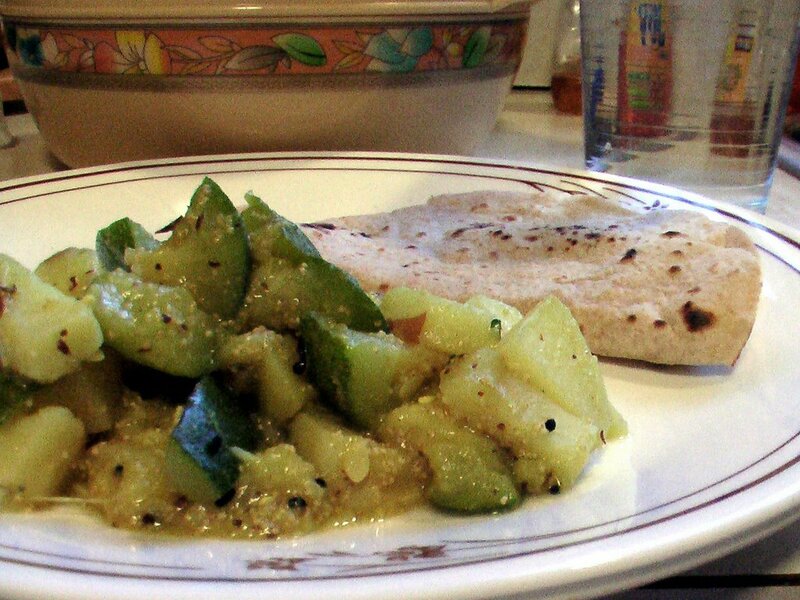 Serve with parathas, naan or rice.